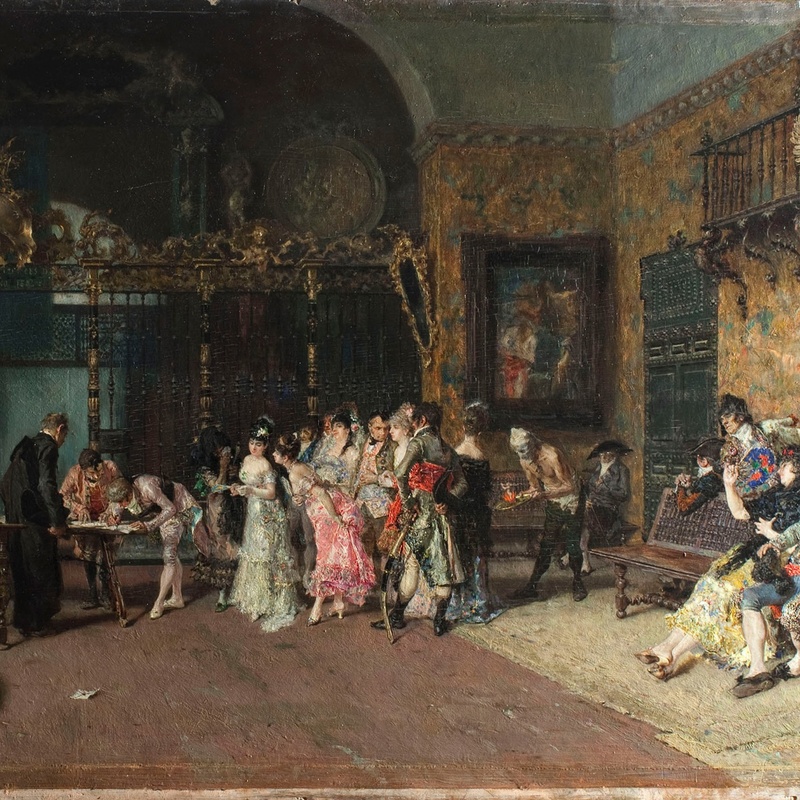 The scene represented in The Spanish wedding  is the signing of a wedding contract, in which Fortuny incorporates elements that show his enormous culture and his fascination and admiration for Goya. The scene takes place in a fictitious space, in which it is notable the bars, the light from the ceiling, the painting, the bookshelves, the shield and the heater, a resource he would use in other compositions. In terms of the personages, it is worth highlighting the central group with the couple, accompanied by the witnesses, friends and family, dressed in the fashion of the 18th century, the elegance of whom contrasts with the group on the right, of low-village people, symbolised by a bull-fighter and a manola who, on a bench, await their turn. It is also notable the brother who begs for the souls of purgatory, the priest and a person with glasses, seated in a corner.